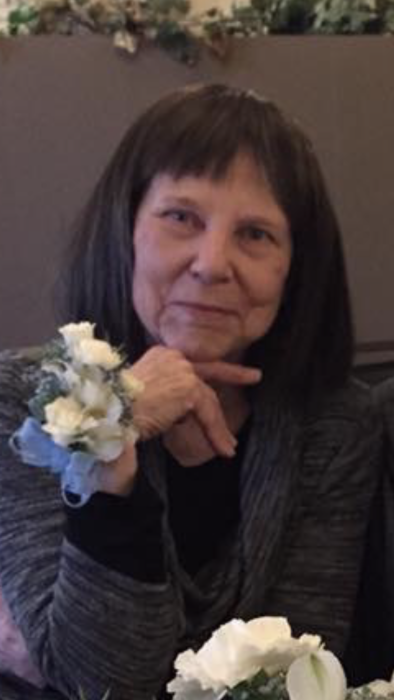 Janice C. “Jan” Valentyne, age 76, of Kimberly, passed away after a gracious battle with ovarian cancer surrounded by her family at Cherry Meadows on Wednesday, July 11, 2018. She was born on January 12, 1942, daughter of the late Alvin and Cecelia (Kroner) Liebergen. On April 22, 1965, Jan married Dennis Valentyne at St. John Catholic Church, Little Chute. Jan loved the Green Bay Packers and was a proud season ticket holder. She also enjoyed following the Brewers, Badgers and Kimberly sports. In her downtime, she read and did crossword puzzles. Jan graduated from St. John High School and was lucky to have a group of girlfriends from high school that still got together for “card club.” She was a long time member of Holy Spirit Catholic Church in Kimberly. She will be deeply missed. Jan is survived by her husband, Dennis Valentyne; children: Todd Valentyne, Appleton; Tami (Dan) Kuether, Menasha; Tara (Dennis) DeBoth, Little Chute; grandchildren: Taylor Valentyne, Brittany, Kaylie and Brandon Kuether, Casey and Campbell DeBoth, Gage (fiance, Amy) Leisgang, Brenna and Braeden Hermes; siblings: Nancy (Roger) Schuh and Alvin Jr. (Carrie) Liebergen; brothers and sisters-in-law: Paul Rettler, Dave (Carol) Valentyne and Meri (Lari) DeBruin; many nieces, nephews, other relative and many friends. Jan was preceded in death by her parents, Alvin and Cecelia; father and mother-in-law, Harry and Maryann “Sis” Valentyne; a sister, Pat Rettler and a sister-in-law, Sandra Valentyne. Memorial services will be held at 5:00 p.m. on Monday, July 16, 2018, at St. John Nepomucene Catholic Church, 323 S. Pine Street, Little Chute, with Fr. Ron Belitz officiating. Visitation will be at the church on Monday from 3:00 p.m. until the time of the Mass. For online condolences, please visit www.verkuilenfh.com. The Valentyne family would like to extend a special thank you to the 7th floor Oncology Unit at ThedaCare Medical Center-Appleton, ThedaCare at Home, the staff at Cherry Meadows and the staff at Fox Valley Hematology and Oncology for all of the wonderful, compassionate care that Jan received.